Want to see my kids eyes light up? Show them a fresh batch of donuts! 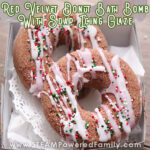 That sweet treat is the inspiration for our latest bath bomb activity, a Red Velvet Donut Bath Bomb Recipe. And yes, they look good enough to eat! But these are actually a bath fizzy project bringing our chemistry lessons to life. One of the things we love about making bath bombs is the creativity. 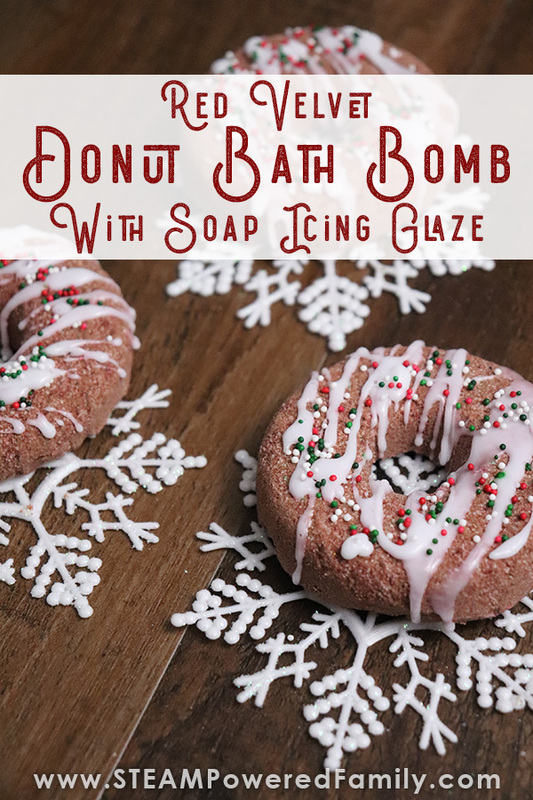 This donut bath bomb recipe is a great example of a fun and unique bath bomb! Lately we have really enjoyed combining soap with our bath bombs to create some extra amazing pieces. 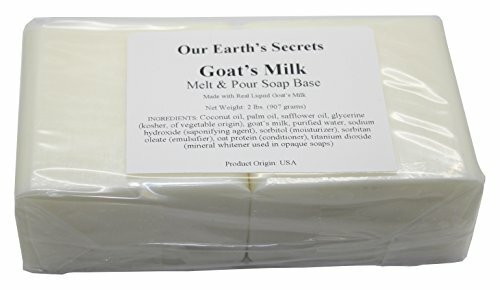 In our experience the addition of soap only makes for a better bath experience. For the holiday season we have a Grinch bath bomb with a soap heart and a beautiful icicle bath bomb. 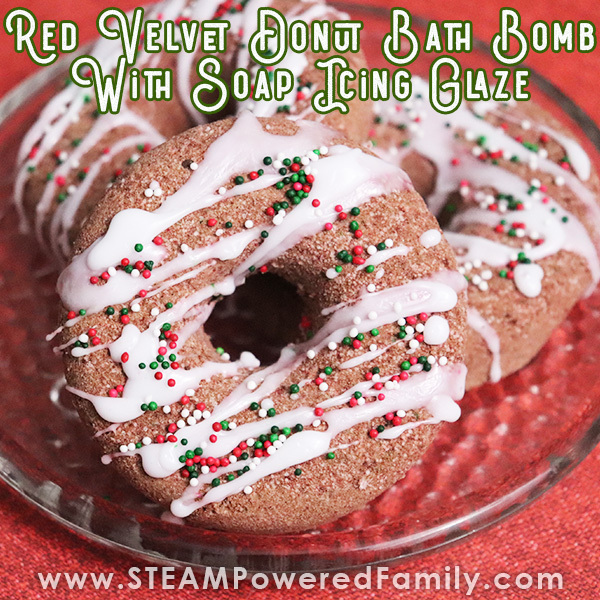 This fun and unique donut bath bomb is another great example of using soap and bath bombs together. Bath bomb making is a fantastic activity to do with the kids, but as my teen says, “Make sure they are old enough to know not to eat these bath bombs!” This was after he tried to eat my bath bombs because they “looked edible.” The teenage appetite is a crazy thing! So make sure your bath bombs are clearly labeled and stored safely where hungry children won’t get confused. There is nothing in bath bombs that is toxic but in these quantities some of the ingredients could make someone very sick and I am pretty sure no one needs that chemical reaction happening in their tummy! So you might be wondering how we turned this into a STEAM project. 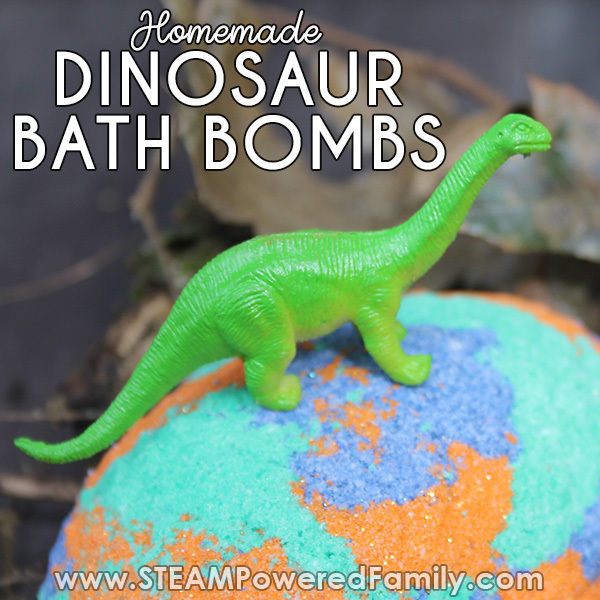 First there is some fascinating science in bath bomb making. 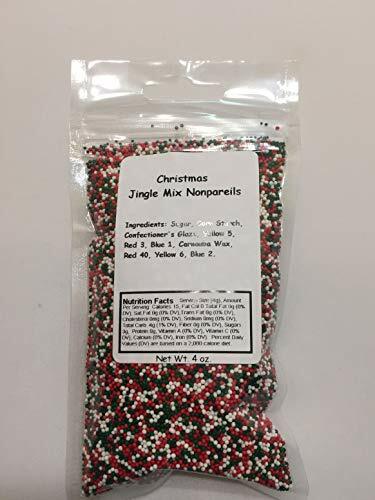 We cover it in detail in some of our other bath bomb activities, but in brief it is an acid-base reaction that is triggered by the addition of water. We also have emulsifiers and surfactants. 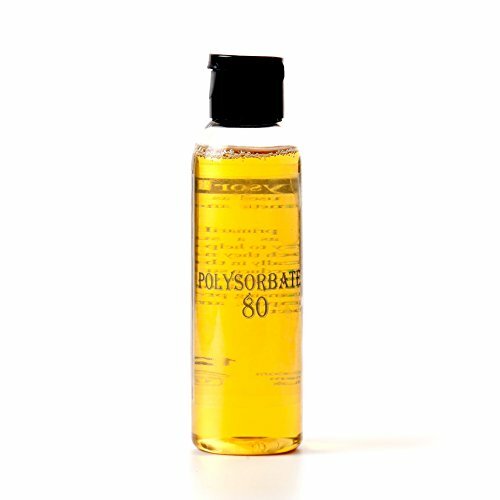 The emulsifier (Polysorbate 80) makes the oils and water of the bath mix nicely. 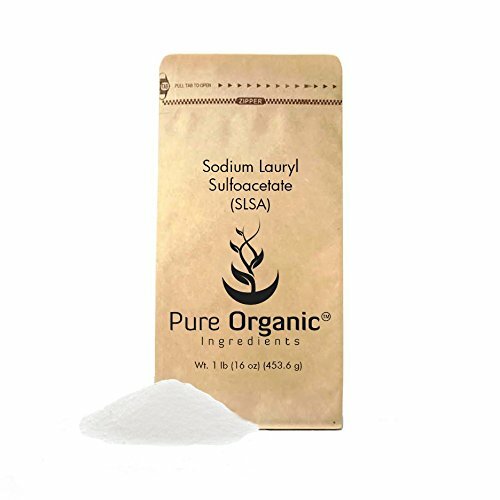 The surfactant (SLSA) helps create a luxurious foam bath. So you get the wonderful bath fizzy fun, followed by a silky, soothing foam bath. We included some great math working with our measurements and fractions. Finally we have a great time bringing in some art with decorating our bath bombs. I kept things simple with this batch but the kids are already talking about using different coloured soap icing glazes so they can really get creative with their designs. This is where the fun comes in, letting their imaginations go wild! 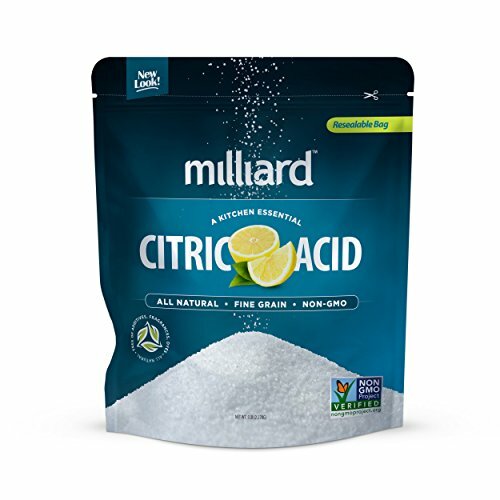 Add all dry ingredients, baking soda, citric acid, SLSA and cornstarch to a large bowl. Mix dry ingredients together. 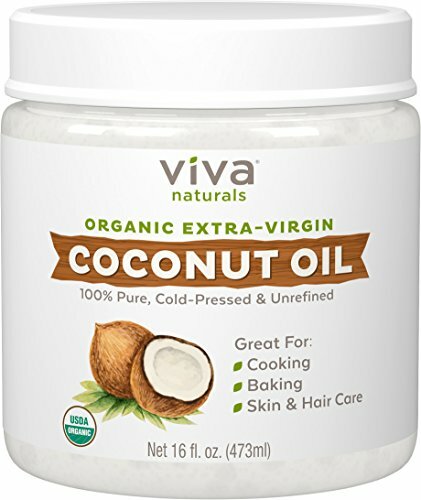 In a small bowl add coconut oil and heat in a microwave for a few seconds until it melts. Add polysorbate 80 and red velvet scent. Mix wet ingredients together, then add those to the dry ingredients. Add cocoa powder to bowl and mix all the ingredients together. If your mix isn’t dark enough, I found adding an off-white colouring gives you more control over the colour than a brown colour will. Add 1 small drop of color to mixture and mix in well. 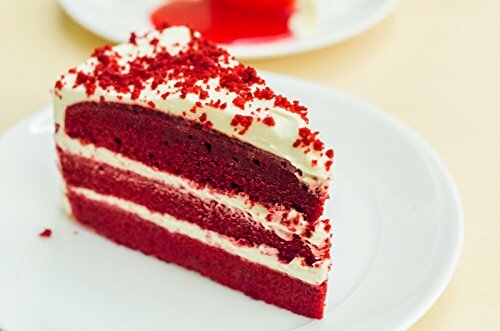 Continue to add a small drop and mix until you achieve the red velvet colour you want. I went for a more chocolate with a hint of red but create whatever you like! If your mix isn’t dark enough, I found adding an off-white colouring gives you more control over the colour than a brown colour will. Mix everything together well. You will know when the mixture is perfect when it feels like wet sand and you can press the mixture together in your hands and it stays together. 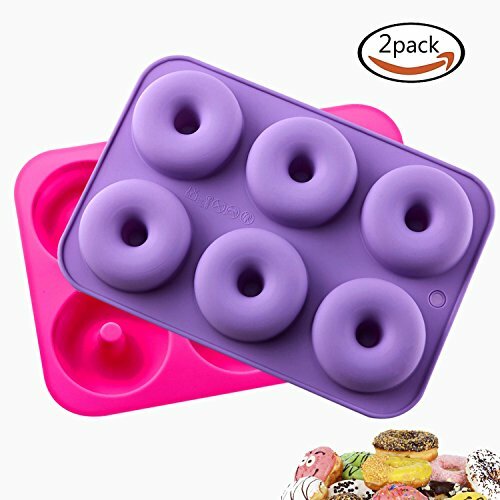 Add your mixture to your mold and pack in tightly. Use your hand or the bottom of your gel coloring works well! Allow to dry at least 24 hours or until completely dry to the touch. Carefully “pop” bombs from mold. Spread out onto a baking sheet or plate. In a small microwave safe bowl, melt your soap cubes in microwave for 15-20 seconds. If it is still not completely melted, heat for another 10 seconds. Mix between heatings. 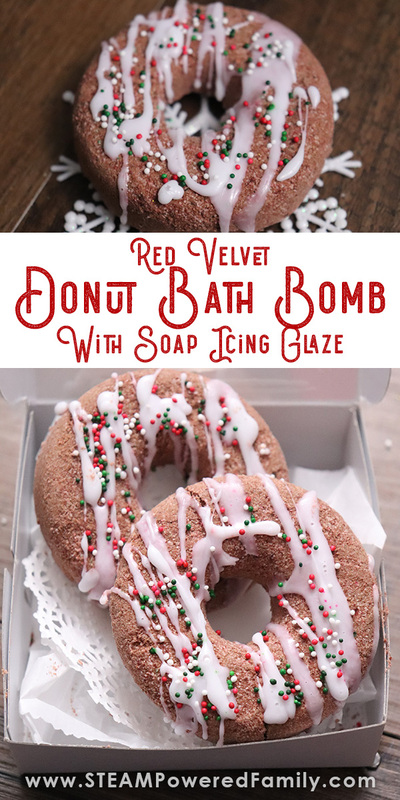 Using a squirt bottle or spoon, drizzle soap over donut bath bomb. Immediately after adding soap glaze, add sprinkles. Allow to set for at least one hour. If you plan to wrap these for gifting, I recommend leaving them overnight before wrapping to ensure everything is well set. 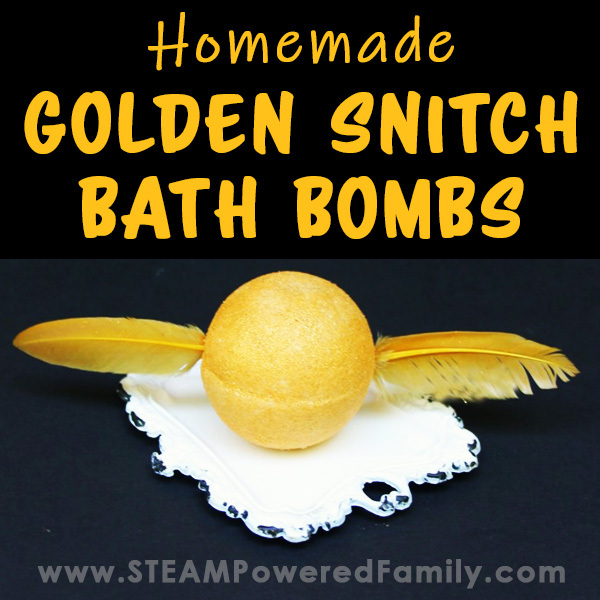 There are a few areas where you may run into issues making bath bombs. First, your mixture may be too dry. 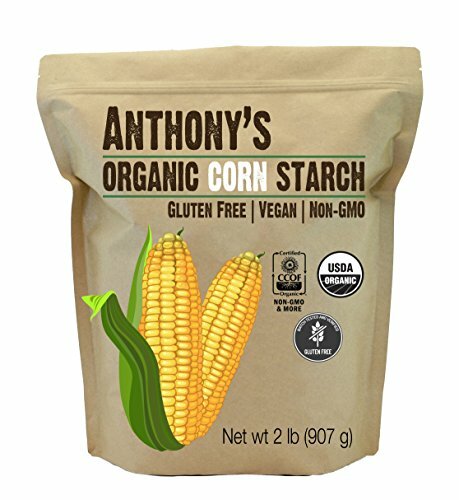 Here in Canada our air is so dry that if I follow this recipe my mix is too dry right from the beginning, so I need to add a little extra coconut oil. It is very easy to over do this. So just add a teaspoon at a time and mix well until you get the wet sand consistency. While packing your bath bombs, you may find the first couple go well, then your mix seems to get too dry and won’t pack. 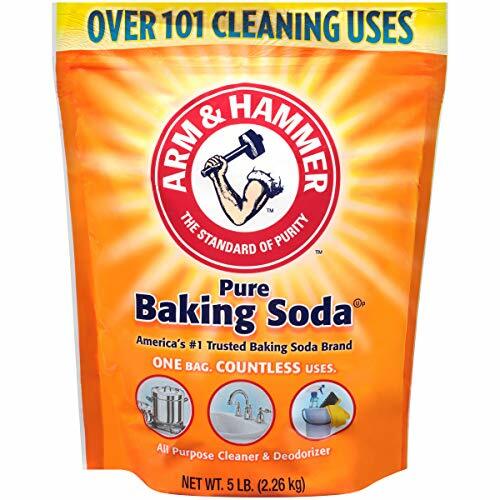 Add a little spritz of rubbing alcohol to the mix to moisten it and help with packing. Breaking when removing from the molds happens if you are not very careful popping them out. This can also happen if your mix was a little too dry. Once I made a batch and it was so dry it just crumbled when I tried to take them out of the molds. But all was not lost. I simply put the mix back in a bowl, added some more coconut oil and repacked. The second try turned out great! Bath bomb making is very much influenced by the moisture in the air. Too much or too little can really impact your results. 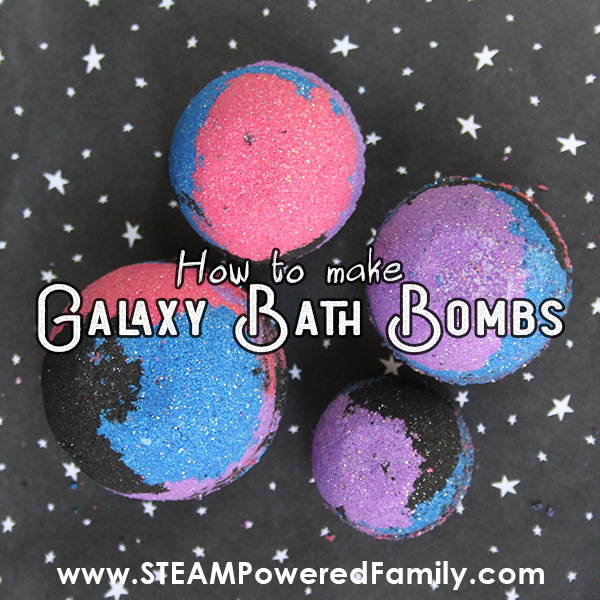 Want to learn more about the science of bath bombs and making bath bombs? 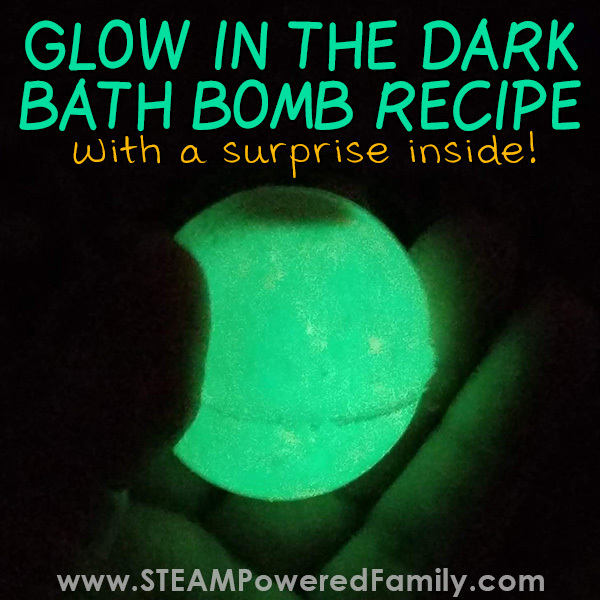 Check out some of our many other bath bomb science projects! 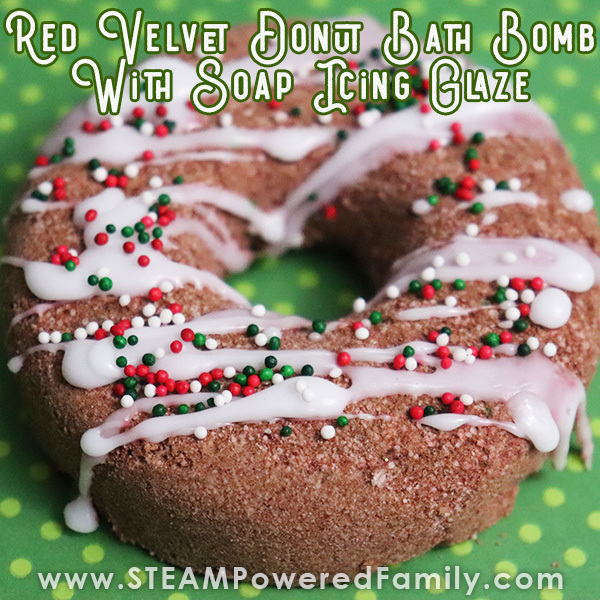 Unique and fun Red Velvet Donut Bath Bomb recipe for Christmas. Easy to follow directions with stunning results. 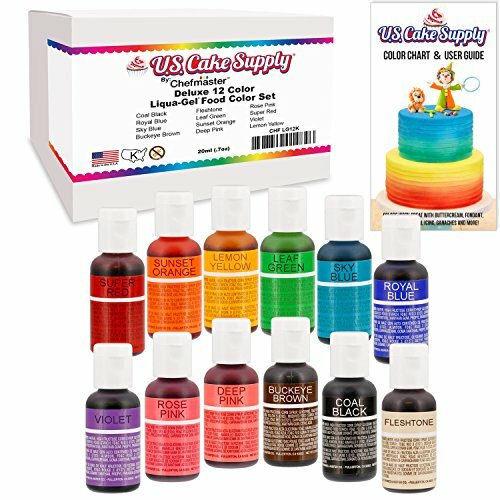 Includes STEAM lesson idea for kids. Add 1 small drop of color to mixture and mix in well. Continue to add a small drop and mix until you achieve the red velvet colour you want. I went for a more chocolate with a hint of red but create whatever you like! Mix everything together well. You will know when the mixture is perfect when it feels like wet sand and you can press the mixture together in your hands and it stays together. Using a squirt bottle or spoon, drizzle soap over donut bath bomb. Immediately after adding soap glaze, add sprinkles. Let set for at least one hour.